Can you believe spring will be here in just a few weeks? I’m so excited for the chance to see those first, tiny flowers peeking their way through the earth–and the warm weather that comes along with it! Thanks so much to each of you who took the time to read my newest book, Rita: The Determined Bride; I hope you enjoyed it! I’m busy working on the fifth installment of the series, and soon, Faith-Ann will be releasing a new Civil War mail order bride romance! If you’re looking for some great sweet reads to check out in the meantime, our friends Joyce Alec and Natalie Dean have some new releases out this week. 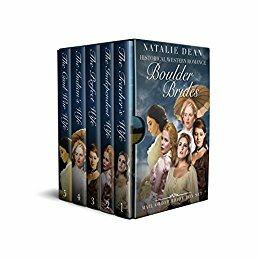 Joyce’s Regency romance, A Marquess and a Secret, is available for only 99 cents right now, and Natalie’s put together a compilation of the books in the Boulder Brides series, which is now available as a box set for only $2.99. 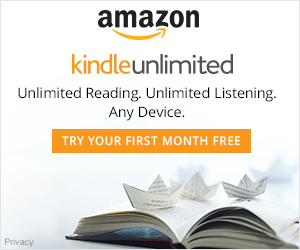 Each of these titles may also be read with a Kindle Unlimited subscription. Lord Rivenhall and Miss Richards both have secrets they do not want society to know about. Will their secrets bring them together or keep them apart? Lord Rivenhall arrives in London with a secret he is determined to keep. When he meets Miss Richards, he cannot deny that he has a particular interest in her and is excited by the thought of seeing her again. However, he knows she is hiding something and is determined to discover the motivation behind her actions. Miss Richards knows exactly what she wants in a future husband. When she meets Lord Rivenhall, he angers her, but then she warms up to his charm. Although she enjoys spending time with him, she can never consider a relationship that is anything more than friendship. When Miss Richards uncovers Lord Rivenhall’s secret, her thoughts on marrying for love are changed forever. Will secrets keep Lord Rivenhall and Miss Richards apart, or can they learn to accept what the other one is hiding? 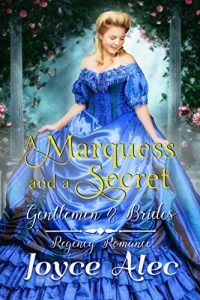 If you love clean and wholesome, Regency-era romances with a strong woman heroine and an inspirational romantic story, you will love A Marquess and a Secret. Take a journey back in time to the Old West and immerse yourself in the stories of five different women falling in love with cowboys, ranchers, Native Americans, missionaries, and schoolteachers. These historical western stories are full of fun, romance, adventure, and thought-provoking inspiration, AND stay true to the time period of the 1860s and 70s. A strong-willed young bride attempts to make her way into a reluctant teacher’s heart. When she sees he’s not interested, she questions whether she should stay in Boulder, or make her way further west on the next wagon train out. Will he have a change of heart once he finds out she’s leaving? Hannah’s got a fierce independent streak, but that doesn’t mean she’s immune to love. She thinks Jeremy, a wealthy rancher, is everything she wants in a man… until she meets the brother of her best friend; a young and carefree missionary carpenter who has decided to settle in Boulder. Who will be charming enough to win Hannah’s heart? The wealthy rancher or the down to earth missionary carpenter? Lucy is a New York girl, but that doesn’t mean she’s a prim and proper city girl. When she agrees to marry the son of a wealthy cattle rancher out west, her parents convince her she needs to become a more refined lady to win his heart. Zack’s friends tell him that ladies from New York prefer to marry proper men and if he wants to win her heart he needs to become a gentleman. How long can the two of them keep these charades up? And will they still feel the same about each other once their true passions are revealed? Elsa’s fed up with a medical career that’s going nowhere, and no marriage prospects on the horizon. When the Women’s Society gets a letter from a missionary correspondence out west looking for a bride for an indigenous man, she surprisingly jumps at the opportunity. Elsa’s become inspired by a sense of missionary duty – and the chance to marry a Native man. BUT…challenges arise daily as Elsa tries desperately to understand her prospective Ute mate. She wants to get to know the community and it’s needs, but he has other ideas in mind. Will a bad mining accident help them realize they have more in common than they thought? When Bethany steps off the stagecoach in Boulder, she decides not to get married and help out at an orphanage instead.